Recently, General Motors (GM) and Ford announced massive layoffs and plant closings. GM announced that about 15,000 workers will be laid off in 2019. As this issue goes to press, Ford hasn’t announced how many workers will be laid off, but estimates put the number around 24,000 workers. The stress and emotions the workers and their families are going through is something many of us have never had to experience. Click here for the 2019 Pay & Holiday Calendar. Click here for the 2019 Leave Chart. 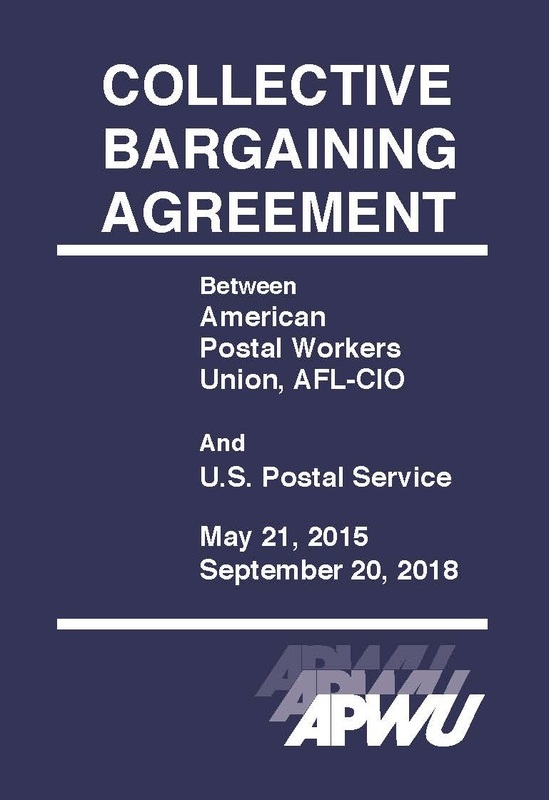 08/10/2018 - In accordance with the 2015-2018 APWU/USPS Collective Bargaining Agreement (union contract), career employees represented by the APWU will receive a 31 cent per hour cost-of-living adjustment (COLA), effective September 1, 2018. It will appear in paychecks dated September 21, 2018 (Pay Period 19-2018), and will total $645.00 per year. 02/16/2018 - In accordance with the 2015-2018 Collective Bargaining Agreement, career employees represented by the APWU will receive a 25 cent per hour cost-of-living adjustment (COLA), effective March 3. The increase is the result of a rise in the Consumer Price Index (CPI-W). It will appear in paychecks dated March 23, 2018 (Pay Period 06-2018), and will total $520.00 per year. 11/02/2017 - The third general wage increase under the 2015 Collective Bargaining Agreement will be effective Nov. 25, 2017. This wage increase will be reflected in the paycheck workers will receive on Dec.15, 2017.Career employees will receive a pay raise of 1.3 percent. 08/11/2017 - In accordance with the 2015-2018 Collective Bargaining Agreement, career employees represented by the APWU will receive a 13 cents per hour cost-of-living adjustment (COLA) effective September 2. The increase is the result of an increase in the Consumer Price Index (CPI-W). The increase will appear in paychecks dated September 22, 2017 (Pay Period 19-2017), and will total $270.00 per year. 02/15/2017 - Career employees represented by the APWU will receive a 16 cent per hour cost-of-living adjustment (COLA) effective March 4, in accordance with the 2015-2018 Collective Bargaining Agreement (Postal Support Employees are not eligible for cost-of-living increases, but they receive five general wage increases under the 2015-2018 contract). The increase is the result of an increase in the Consumer Price Index (CPI-W). The increase will appear in paychecks dated March 24 (Pay Period 06-2017), and will total $333.00 per year. 02/13/2017 - T he Collective Bargaining Agreement (CBA) between the United States Postal Service and the American Postal Workers Union has been sent to the printer and is available as a pdf. Hard copies of the CBA are available for purchase on the APWU store. The pdf is available under “Resources."